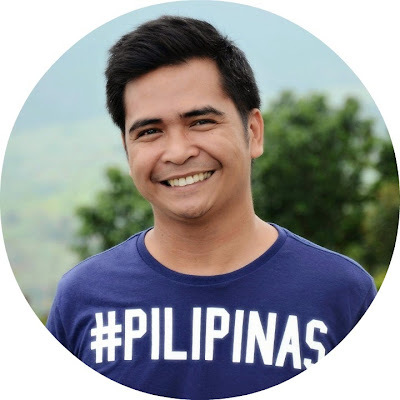 When I launched my blog as "Pinoy AdvenTurista" sometime in 2010, I started the challenge of visiting all the provinces in the Philippines. 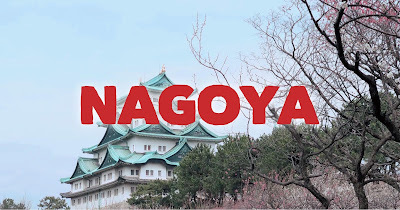 Still a newbie, nobody knows who Pinoy Adventurista is. 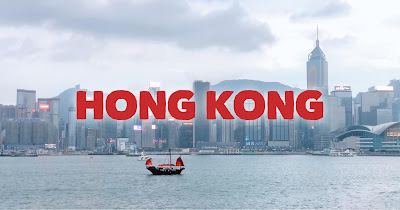 So, the personal challenge of visiting all the 81 provinces in the Philippines was born. Honestly, it was just my way "to get noticed". 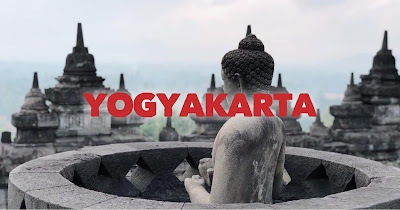 But after few months, when people started to like and got interested about the challenge, I made it the main theme of my blog - "To share my travels and adventures as I tick-off the provinces in the Philippine map." In 2013, I am proud to say that I have visited all the 81 provinces in the Philippines. With this, let me share to you 81 Instagram-worthy Destinations in all of the 81 Provinces of the Philippines. These are my personal favorites! 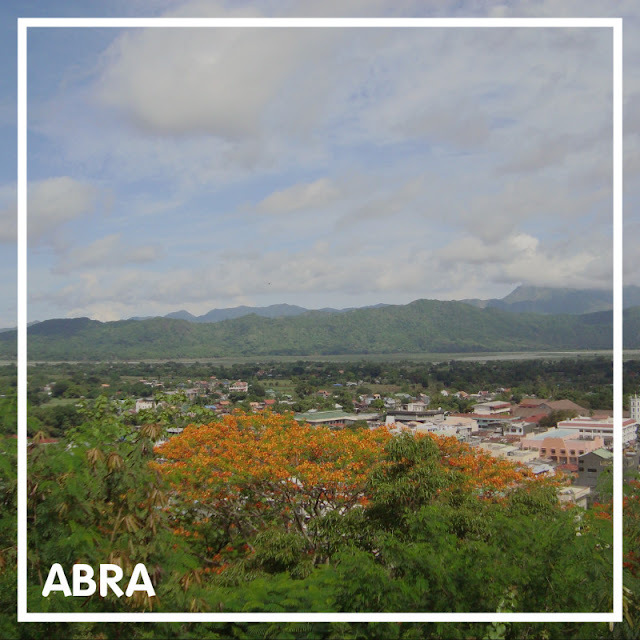 Victoria Park in Bangued Abra is where you can enjoy the stunning view of Bangued, the Abra valley, Abra river and the Ilocos Mountains, plus the cool breeze of the wind. Truly awesome! 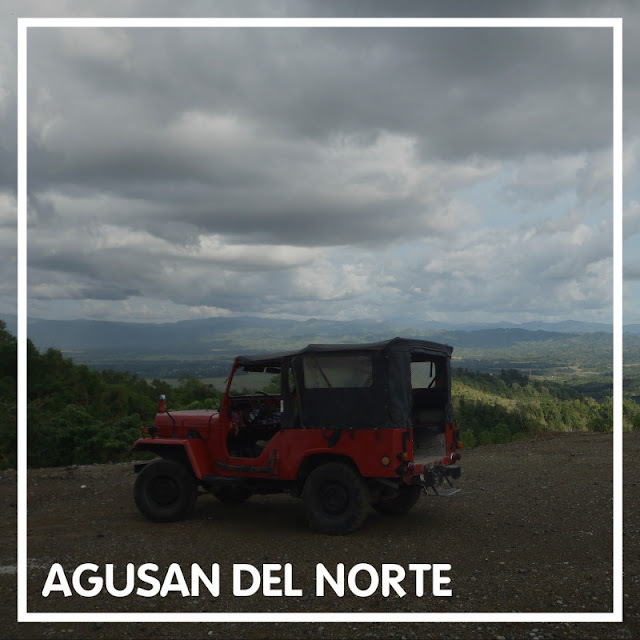 This mountainous side of Butuan City is where you'll have a stunning view of the mountains and valleys surrounding the city. 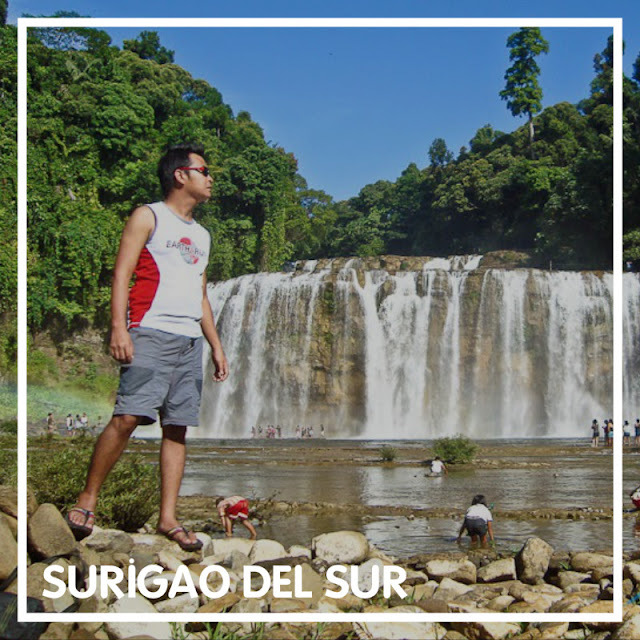 Masapya Falls in Bunawan, Surigao del Sur is nice place to cool down! 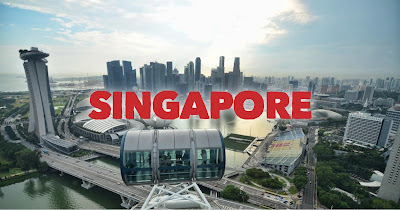 One of the world's best island. Boracay is efinitely a favorite beach not only by Filipinos but also by foreign tourists. What could be better than the perfect cone of Mayon Volcano? 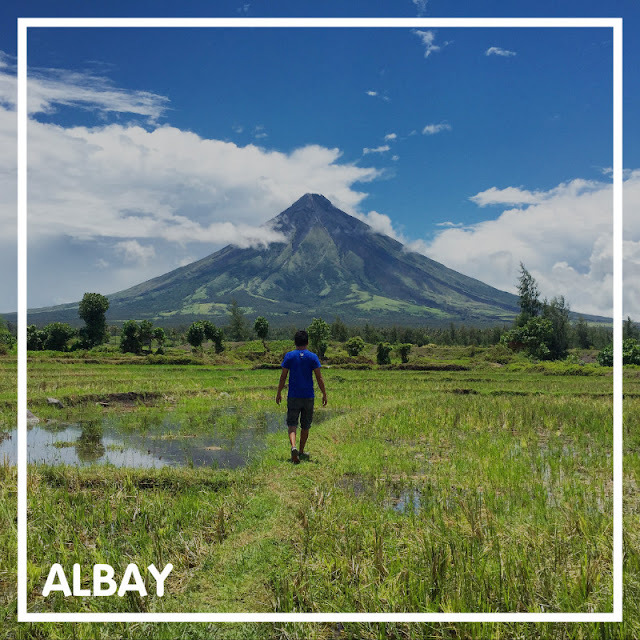 Truly, Mayon magayon! 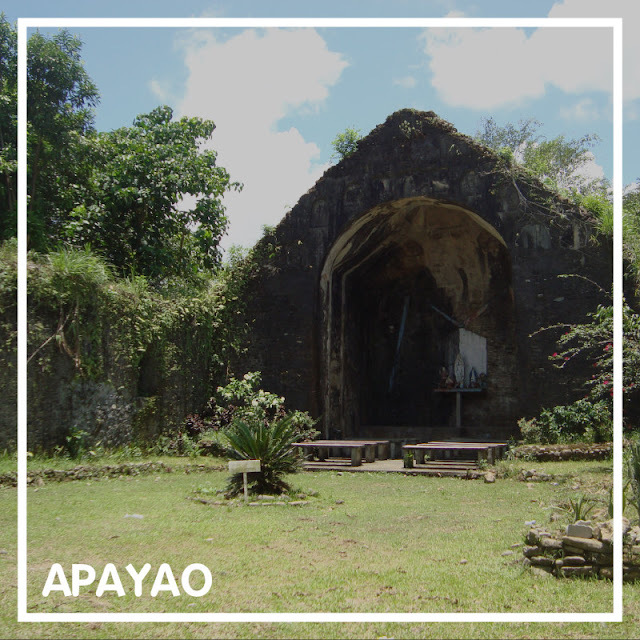 When in Apayao, a must visit is the old church ruins of Pudtol. 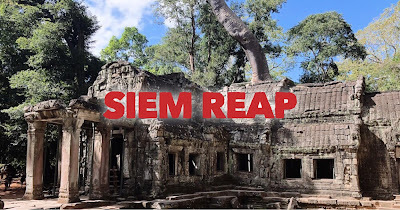 This stone church which is now a ruin was built in 1684. The church with thick walls is really quite old. Only the back and the side walls remained at the site. It has a small altar at the middle with at few benches at the center. How's a kawa hot bath appeal to you? One of Tibiao's main attractions, the kawa is a huge fryer that was transformed into a tub where one can enjoy a hot bath. It relaxes and soothes tired muscles. The leaves put into the water is said to cure some skin disorders and adds aroma for a relaxing bath. 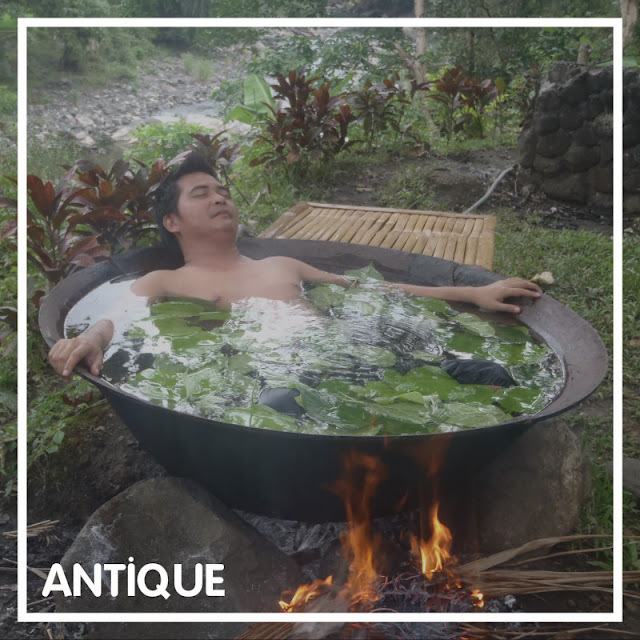 So if you want to experience the feeling of "being cooked" with real fire underneath, the Kawa Hot Bath is a must-do activity when visiting Tibiao. Enjoy the stunning rock formations battered by crashing waves. These eye-catching rock formations will make you in admiration for a long time. 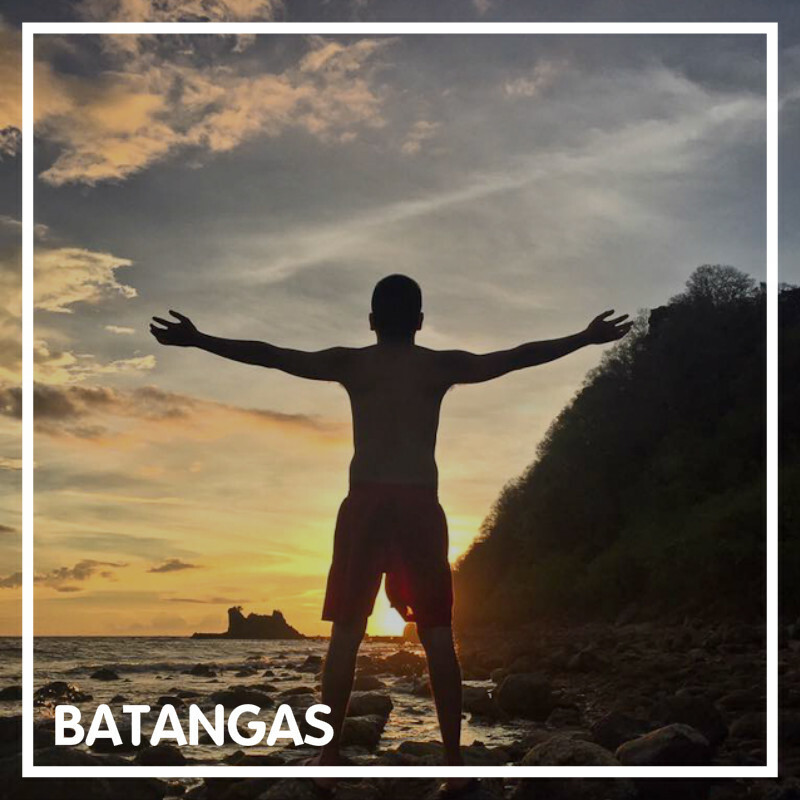 You may choose to hop from one rock formation to another and take photos with the Aniao Islets as a breath-taking back drop. Definitely, one of the best spots in Baler! 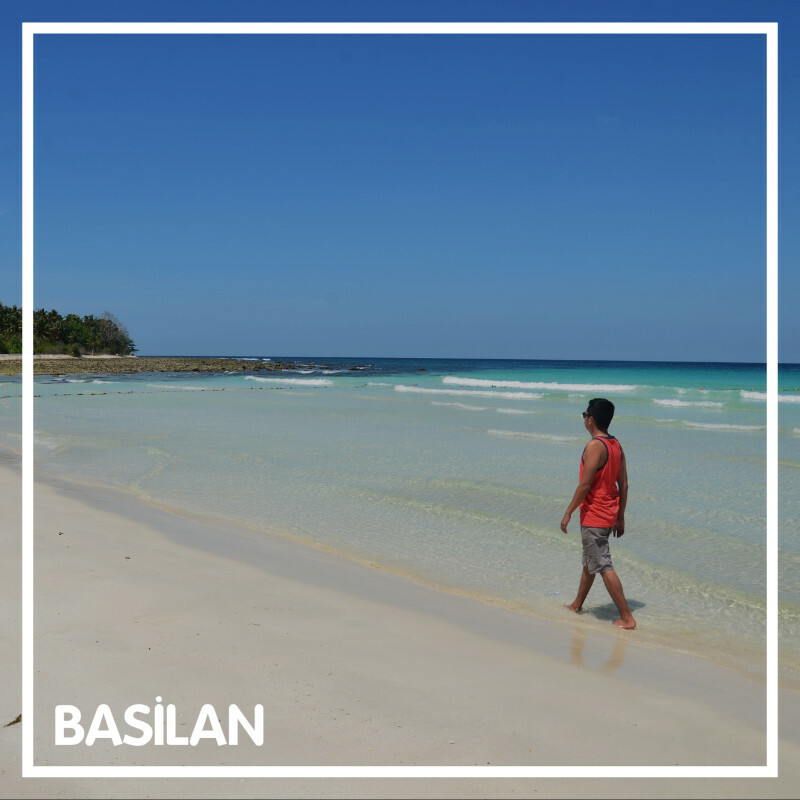 Malamawi is a small island off the coast of Isabela City, Basilan. 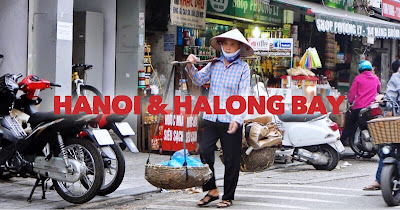 An "off-the-beaten" destination that you should visit! 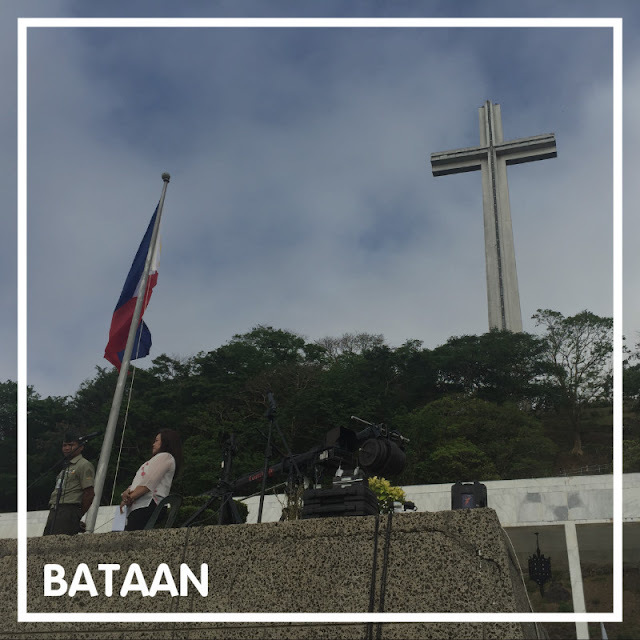 Bataan is known for its historical sites. One of these is the "Dambana ng Kagitigan" also known as Shrine of Valor on top of Mt. Samat. Remember what was taught in your Sibika and Kultura subject? Batanes has so many instagram-worthy spots. But this lighthouse on top of Naidi Hills is one of my favorites! Isla Verde (Verde Island) is one of the must-visit "off-the-beaten" destinations in Batangas. 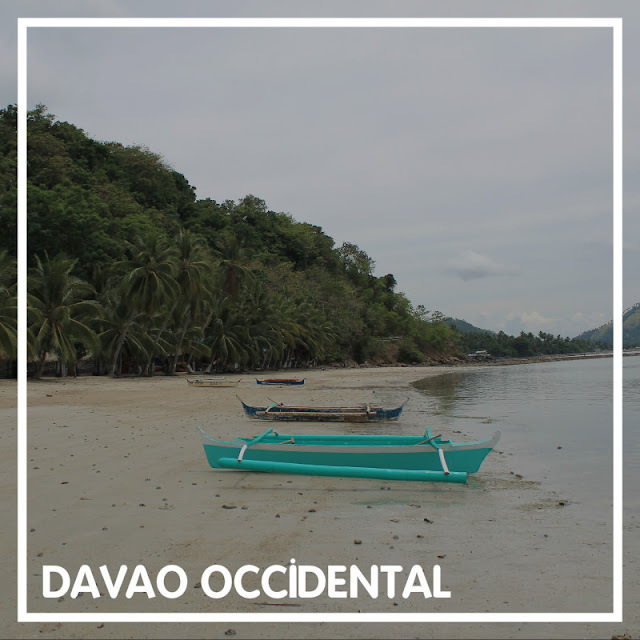 The island is located between the islands of Luzon and Mindoro, along Verde Island Passage which is dubbed as the "Center of the Center of Marine Biodiversity in the World." 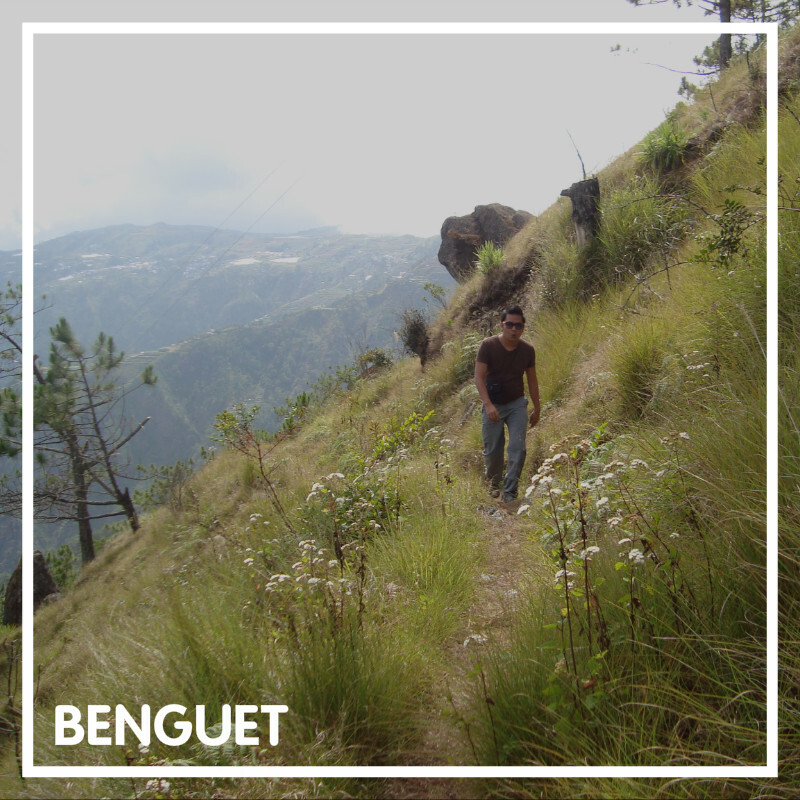 This is where you'll find the fire mummies of Kabayan Benguet! One of the most beautiful waterfalls in the province of Biliran! 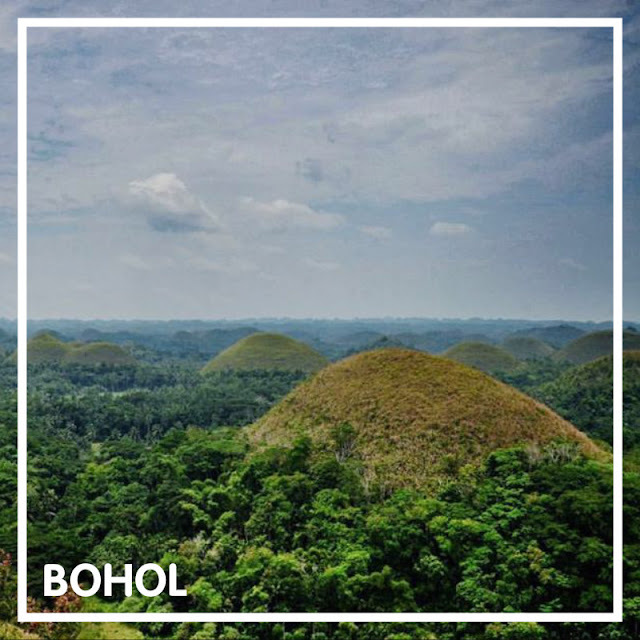 One of the icons of Bohol, who would miss out going to the world's famous landmark of Bohol? Formed centuries ago by tidal movements, the hills are considered as a National Geologic Movement. During summers, the dome-shaped hills covered with grass dries up and turns brown, which makes the area into seemingly endless rows of chocolate kisses. Located inside the Center for Ecological Development and Recreation is a reforestation project developed and managed by the Local Government Unit of Impasug-ong and the Department of Environment and Natural Resources. Waterfalls hopping and trekking inside the park is one of the best things to do when visiting Bukidnon. Built in 1888, Barasoain Church is dubbed as the "Cradle of Democracy in the East," the most important religious building in the Philippines, and the site of the First Philippine Republic. Set on a picturesque backdrop of lush verdant hills, Anguib Beach is a certified tropical heaven. 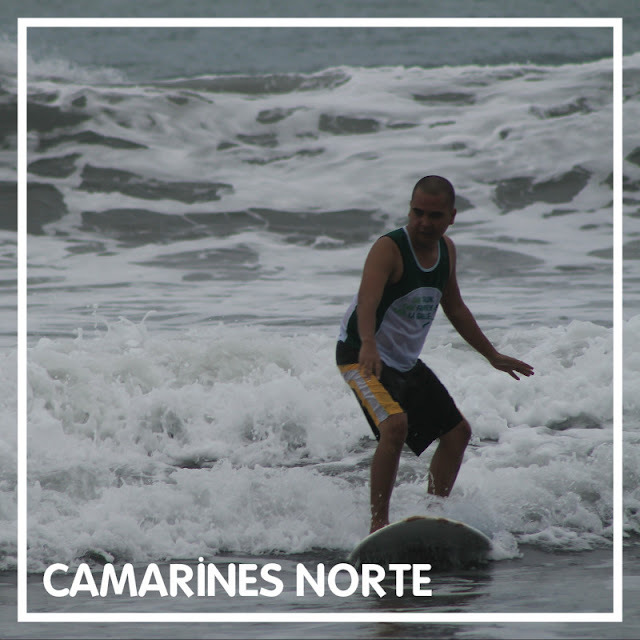 When in Daet, one should not miss riding the waves of Bagasbas Beach. It is considered as one of the best surfing spots in the Philippines. Approaching the islands, you'll see towering limestone and rock formations enveloped by clear turquoise waters. 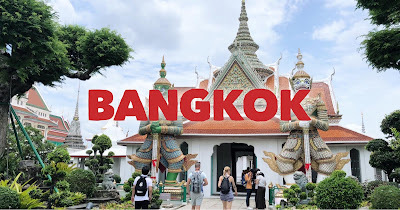 You'll also witness breathtaking islands and islets, small and long stretches of white sand beaches and stunning views of lush greenery. 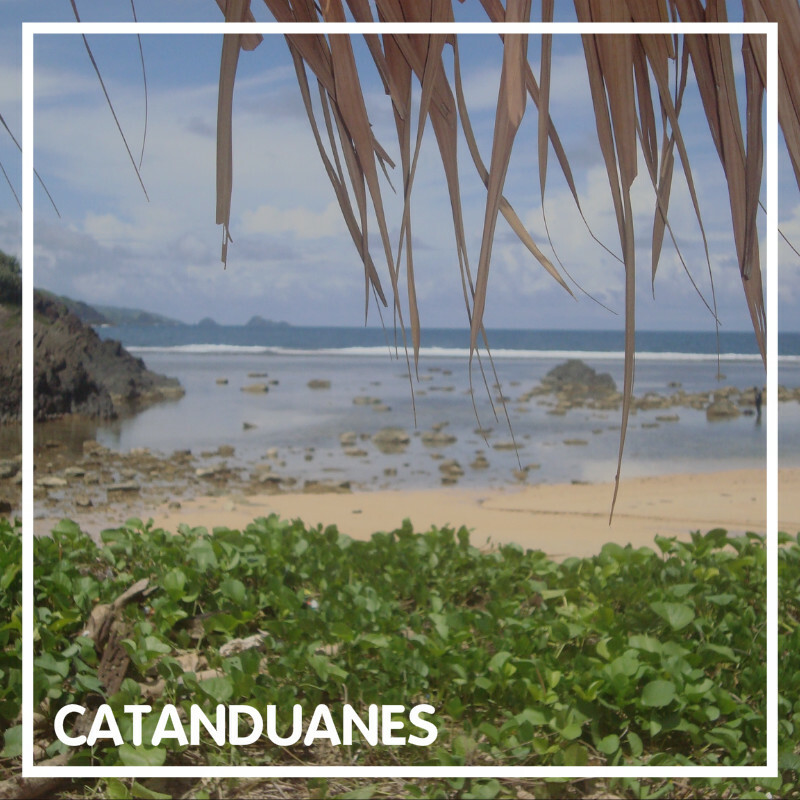 The countless islands in Caramoan are truly awesome works of nature. When in Capiz, one should not miss a visit to Sta. 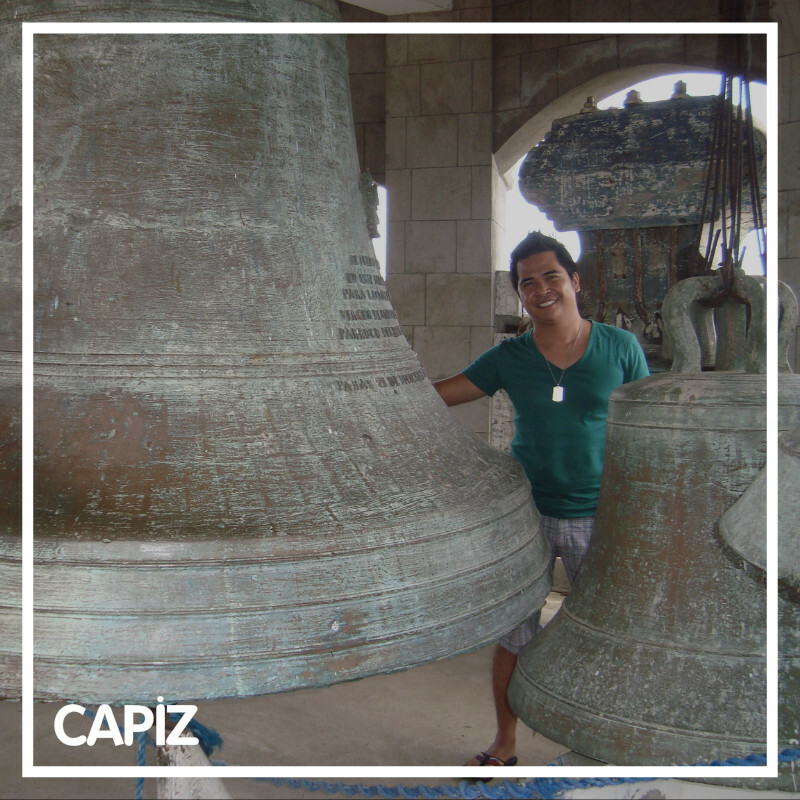 Monica Church where you could find the biggest church bell in the Philippines and probably in Asia. Known for majestic waves, Puraran Beach is a favorite destinations for local and foreign surfers. Corregidor Island is considered as "one of the country's last military bastions," that served as one of the harbor defenses of Manila Bay during the Second World War II. 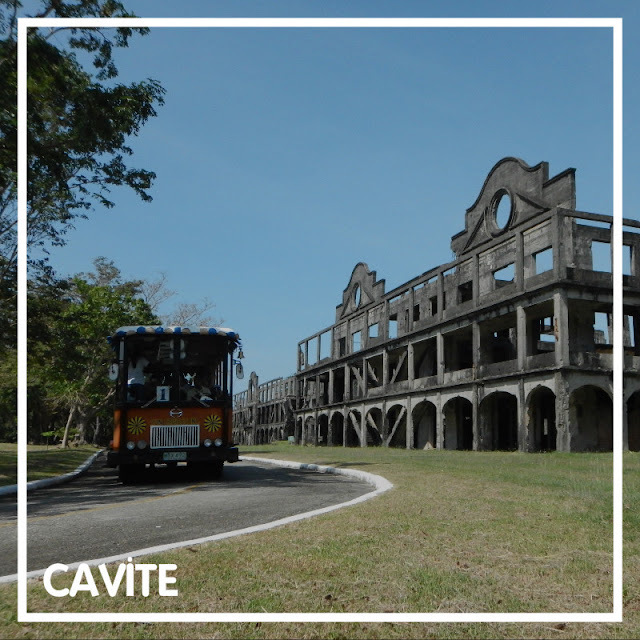 Located in the province of Cavite, it has been declared as a protected area and is one of the most-visited tourist destinations in the Philippines. 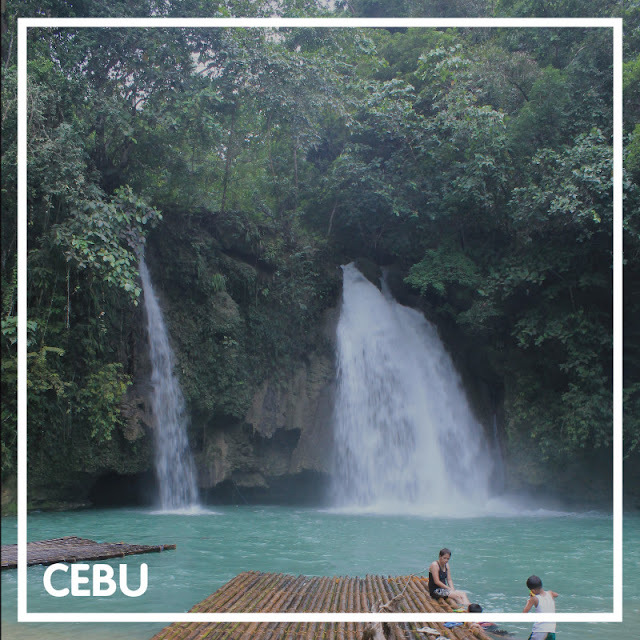 This is propbably the most popular falls in Cebu. Kawasan falls is located at Matutinao in the town of Badian, 130 kilometers southwest of Cebu City. It is definitely worth the long travel just to see this marvelous waterfalls. This is one of the most beautiful waterfalls I've been to. Definitely a must-visit when in Cebu! 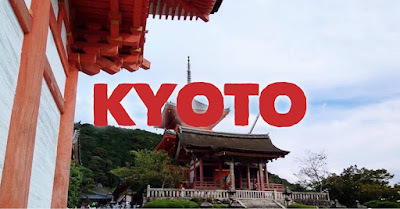 Hot Spring and Waterfalls in one! This is Mainit Sulfuric Hot Spring in Maco, Compostela Valley! A one-of-a-kind waterfalls in the Philippines! Composed of small waterfalls with natural swimming pools and huge rock formations, Haguimit Falls is great place to just relax and take a dip on cold fresh water. An islet located in Sta. 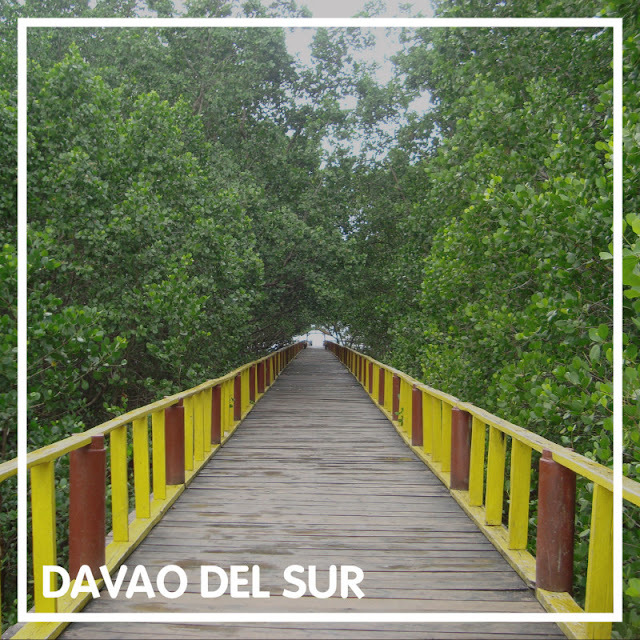 Cruz Davao del Sur, it is favorite beach destination by locals and tourist visiting the province. Called as "Little Boracay", this is a nice beach with a long stretch of semi-fine white sand in Sta. Maria, Davao Occidental. 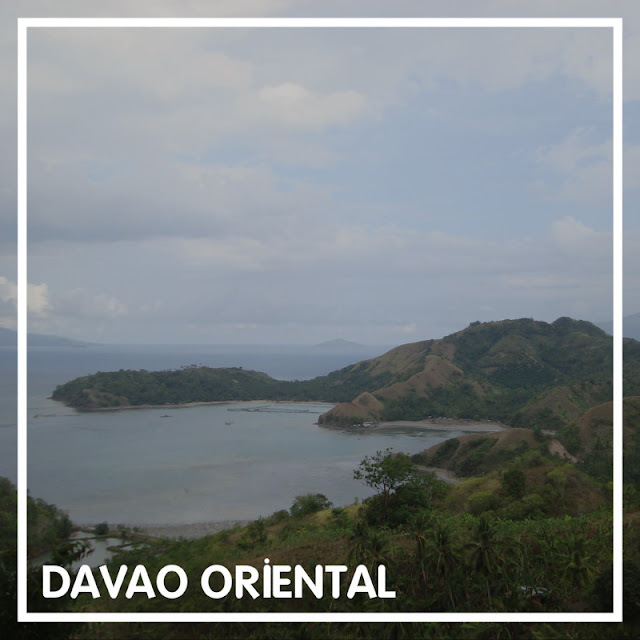 When visiting Mati, Davao Oriental, one should not miss is a stopover to see the sleeping dinosaur. This is one of the best spots to watch the sunset overlooking the islands and islets of Dinagat Islands. A simple yet very appealing church. This is a historical church as this is where the Balangiga Massacre happened 1901. This 18th century Guisi Point Lighthouse is located in Brgy. Dolores in the town of Nueva Valencia, Guimaras. 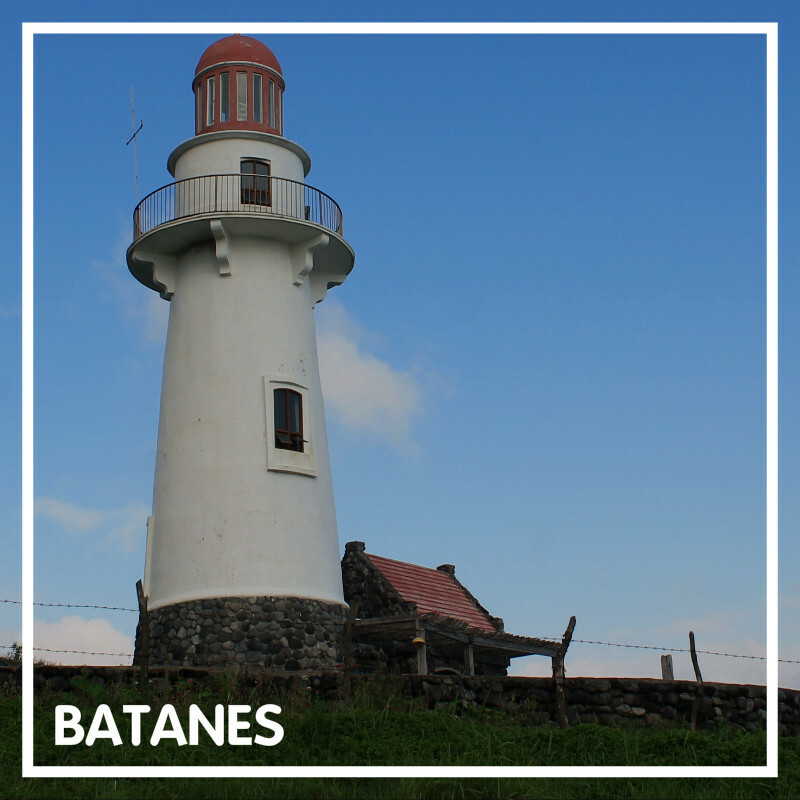 A short hike will take you to the lighthouse built on top of a hill during the Spanish-colonial time. 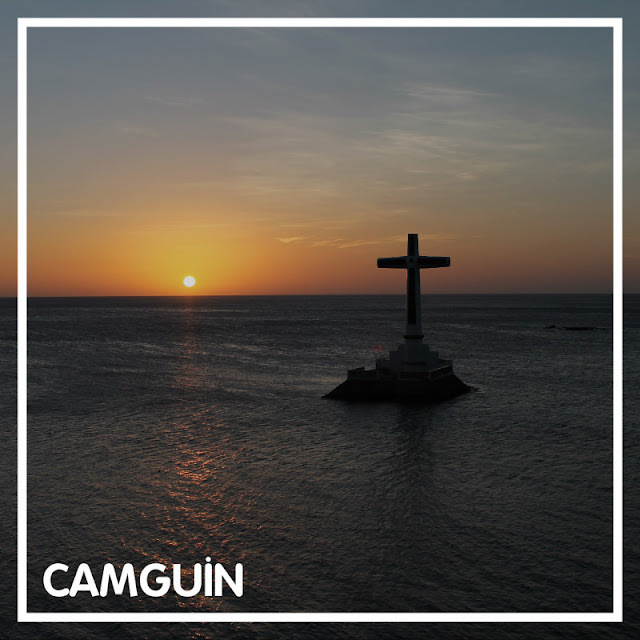 It was built to guide passing ships cruising along the Guimaras Strait. These are a distinct land formations, declared as National Geological Monument by the National Committee on Geological Sciences in 1993. A must-do is sand boarding along the slopes of the sand dunes. 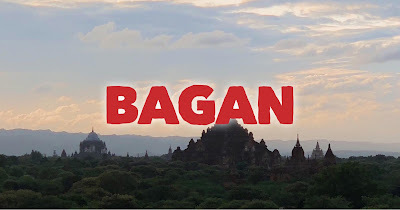 The Heritage City of Vigan is considered as one of the best-preserved examples of a planned Spanish colonial town in Asia which dates back to the 16th century colonial period. 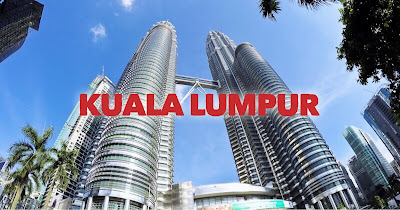 Due to its cultural significance, it was inscribed at the UNESCO World Heritage List of Sites and Monuments in 1999. The Gigantes Group of Islands is an adventurer's haven where one can relax, unwind, enjoy and be one with nature. It is now one of the top tourist drawers of the province of Iloilo divided into two groups: Gigantes Norte and Gigantes Sur. 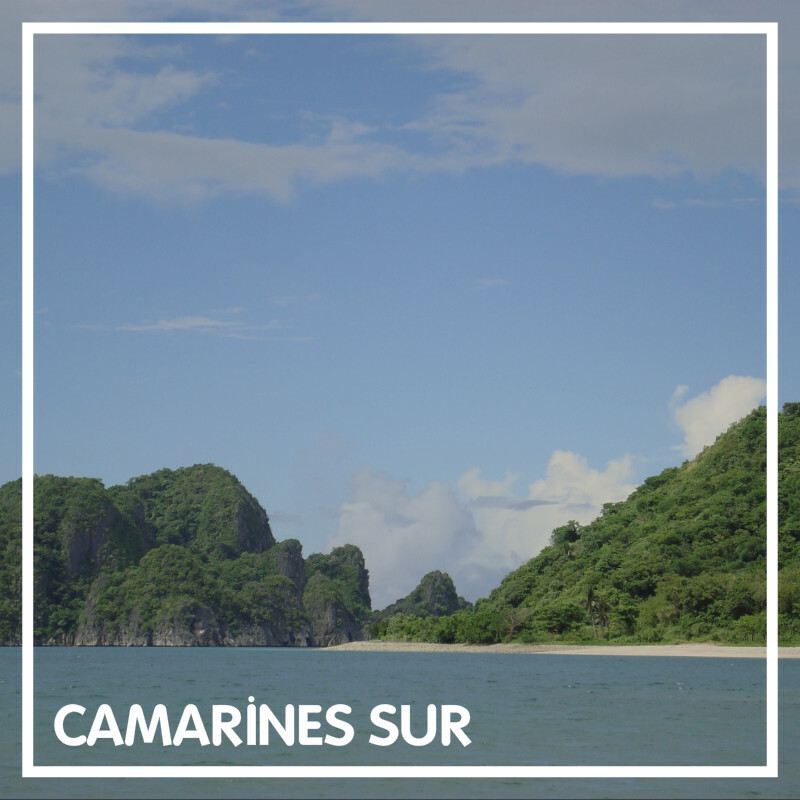 If you love pristine white sand beaches with clear blue waters, island hopping, seafood and nature tripping, a Gigantes Islands Adventure is right for you! 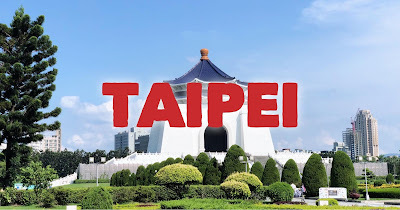 A centuries-old church famous for its cylindrical bell tower, Tumauini Church was declared by the government a National Historical Landmark on February 24, 1989. When traveling to Kalinga Province, pay a visit to the town of Tingalayan where you could see the tattooed women of Tinglayan. History tells us that these women have their tattoos as ornaments which signifies beauty and makes them more attractive to their suitors. Some have it like a necklaces and full sleeves on their arms. While for the men, it is a sign of bravery as warriors who have killed their enemies. One of the best surfing spots in North Philippines. 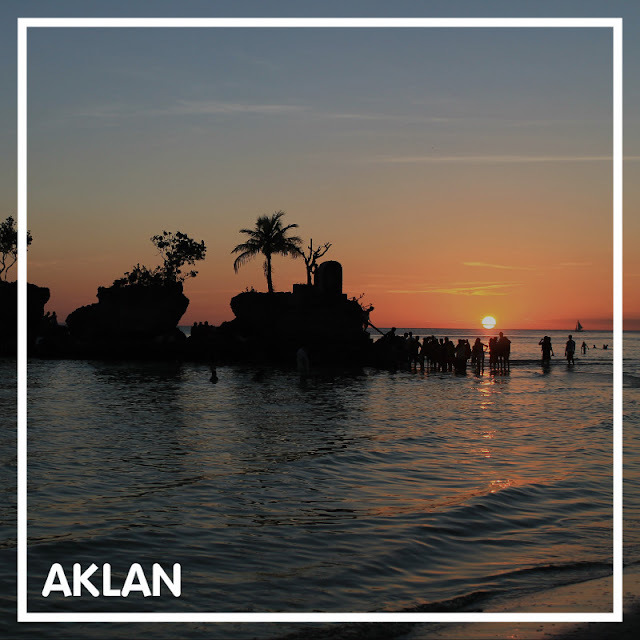 The town of San Juan is definitely a must-visit when La Union. Locally known as Magdapio Falls, this waterfalls is one of the most-visited Philippine day trip destinations. 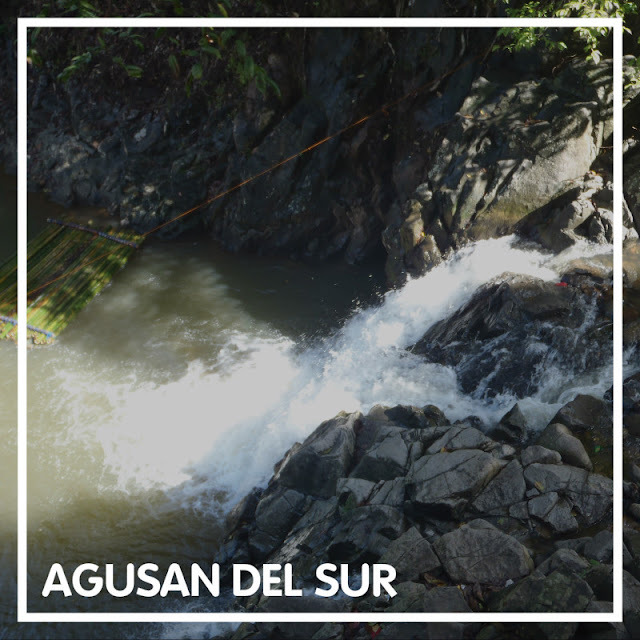 Though it is more popularly known as Pagsanjan Falls, it is actually located in the town of Cavinti, an adjacent town to Pagsanjan, Laguna. 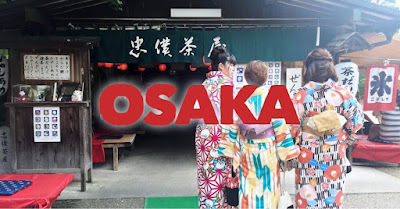 This will relieve your childhood memories as this is one of the tourist spots we learned in our Sibika at Kultura subject in grade school. Another waterfalls that we knew from our grade school years, the Maria Christina Falls is considered as the 2nd highest waterfalls in the Philippines at approximately 320 feet high. It is also one of the most visited waterfalls in the country. Midanao State University (MSU) in Marawi City is the flagship and the biggest campus of the MSU System. It was founded in 1961 with a vision of being the “Premier Supra-Regional University in the MINSUPALA (Mindanao, Sulu Archipelago, and Palawan) region”. A monumental landmark that stretches from Samar to Leyte across the San Juanico Strait. At a total length of 2.16 kilometers, it is considered the longest bridge in the Philippines crossing a body of seawater. Completed in 1973, it was used to be called as Marcos Bridge as it was built during the regime of former president Ferdinand Marcos. It is said that this is a "Gift" and a "Testimonial of Love" by Marcos to his wife and a native of Leyte, Imelda Romualdez Marcos. 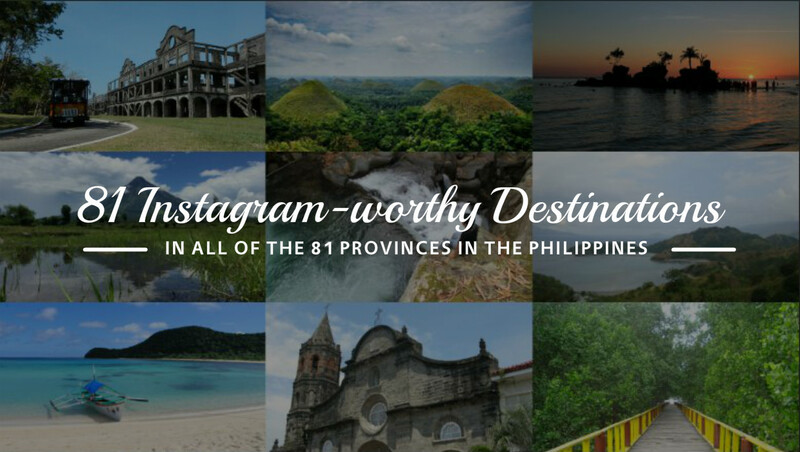 Definitely, an instagram-worthy destination when visiting Tacloban City, Leyte. Al Jamelah Weaving Center is located in the municipality of Datu Odin Sinsuat in the province of Maguindanao. Here, you can see how the traditional Maguindanaon handwoven fabric called inaul is made. The best time to visit Marinduque is during holy week. 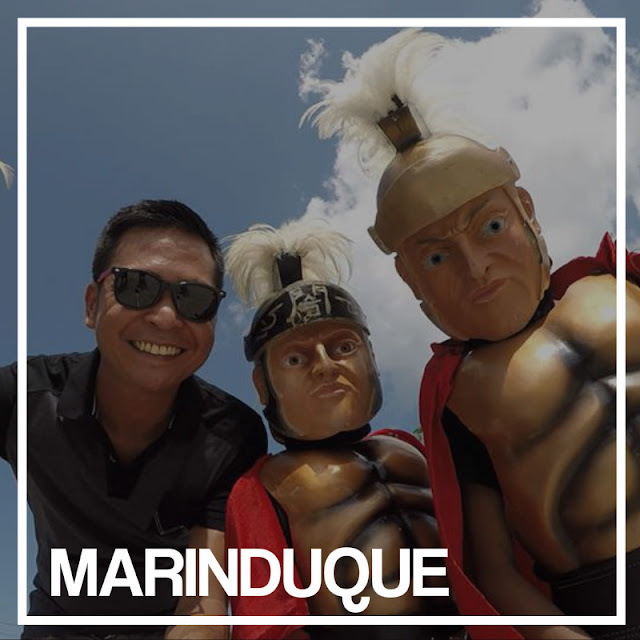 Don't miss to have a "selfie" with the Morions roaming around the streets of Marinduque during holy week. Island hopping in Masbate is one of my favorites! 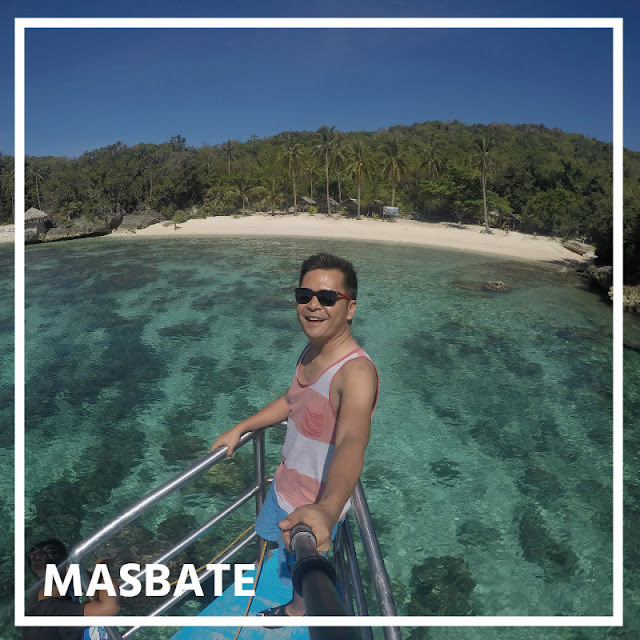 This is Halea Nature Park in Monreal, Ticao Island, Masbate! Pandan Island is Occidental Mindoro’s west side diving attraction. Surrounded with nice stretch of white sand beaches with lush tropical forests, it is a perfect island getaway for any beach lovers. Aside form the white sand beach of Puerto Galera, also a must-visit is the Taramaw Falls. Built in 1756 by Father Jose Ducos to serve as a Spanish outpost in the area, the Cotta Fort is a stone fort built along the shores of Panguil Bay which is now the Port of Ozamiz. It is rectangular in shape typical to many Spanish fortresses and has four bulwarks named as San Ignacio, San Fernando, San Jose and Santiago. 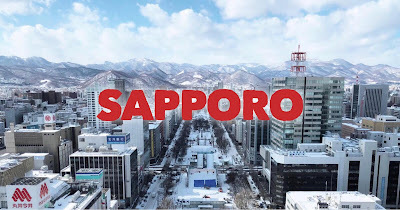 Sauntering around Cagayan de Oro City, indulging in its great food, and shopping for bargains are just some of the best things to do when in the "City of Golden Friendship." When in Sagada, wake up early and witness a mesmerizing sunrise at Mt. Kiltepan. Identified as one of the 25 major tourist destinations in the country by the Department of Tourism, Silay City is considered as the “Seat of arts, culture and eco-tourism in Western Visayas”. Visit the San Diego Pro-Cathedral, Explored the Heritage Houses and taste the local flavors. For those who love heritage houses, Silay will definitely bring joy to your heart. 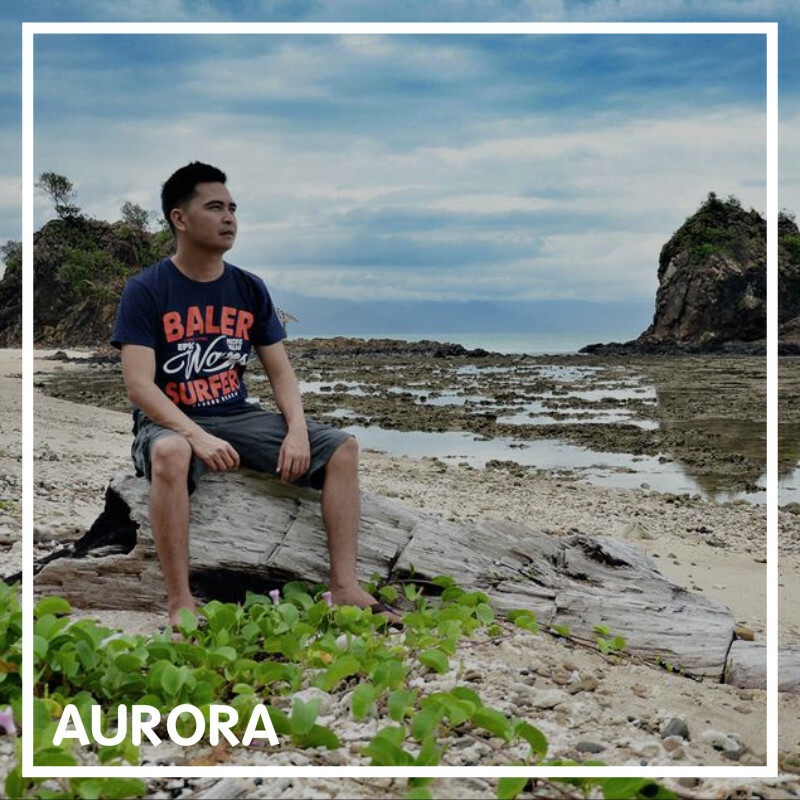 Apo island is a 12 hectare volcanic island located 7 kilometers off the southeastern tip of Negros Island or 25 kilometers south of Dumaguete City, the capital of Negros Oriental province. 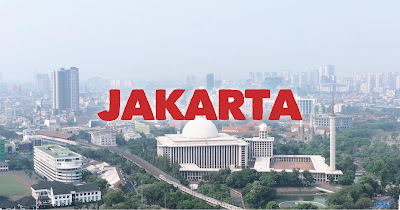 It is a small island known for its underwater activities such as snorkeling and diving because of rich marine life. Apo Island Protected Landscape and Seascape, has a Marine Sanctuary which is considered as one of the oldest protected marine reserves in the Philippines. 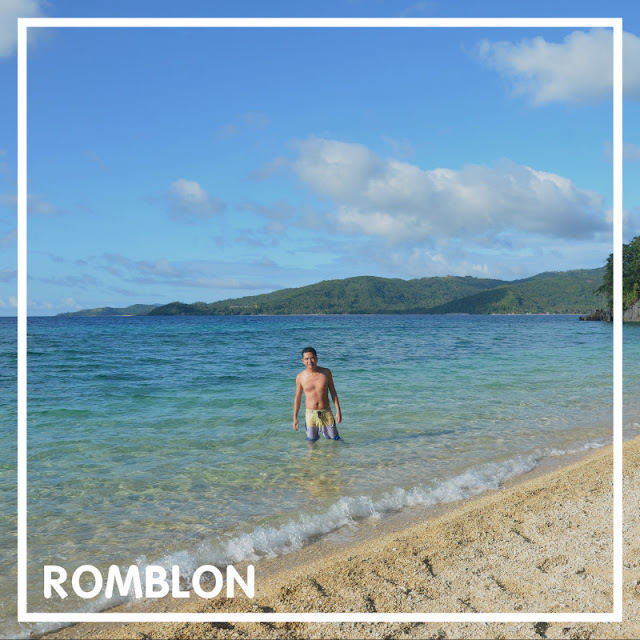 The island municipality of Biri in Northern Samar is one of the most underrated tourist destination in the country. 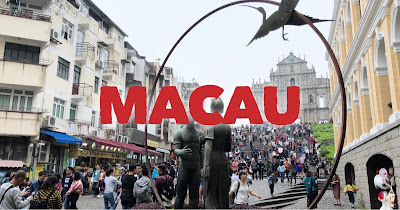 An off-the-beaten destination that most intrepid travelers dare to visit. Don't miss it's stunning rock formations. Every spot is definitely "Instagram-worthy!" Located in Gen. Tinio Nueva Ecija, Minalungao National Park is a protected area enacted on 1967 by virtue of Republic Act No. 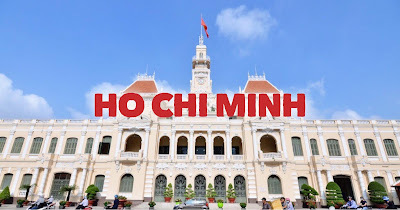 5100. 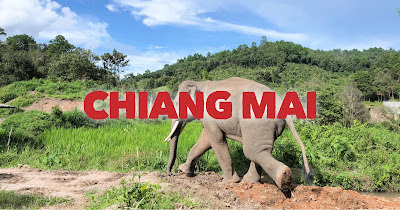 It is known for its clean flowing river, towering rock formations, and clean and peaceful environment. One of the most distinguishable features of the park are the high limestone walls on both sides leading to a cave. Considered as well-preserved church complex in Nueva Vizcaya, San Vicente de Ferrer Church in Dupax del Sur is among the town's best preserved Spanish colonial monuments. 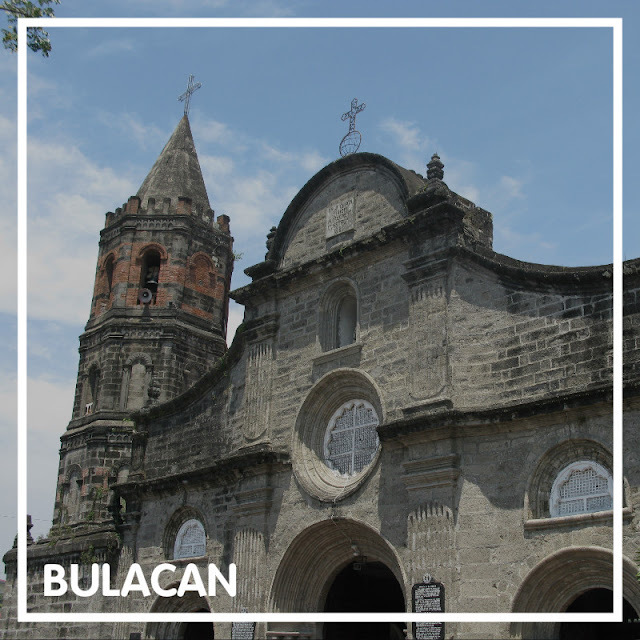 Constructed in the 18th century by the Dominican order, it is one of the oldest stone churches in Northern Luzon and was declared a National Cultural Treasure. Considered as one of the "best islands in the world," El Nido is a nature lovers paradise! 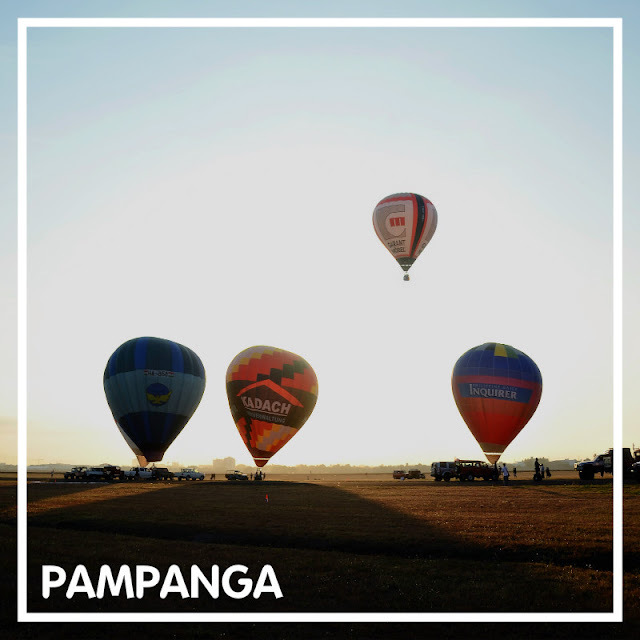 Aside from being known as the "Culinary Capital of the Philippines," Pampangas is also a must-visit during February for the annual Philippines International Hot Air Balloon Fiesta in Clark. 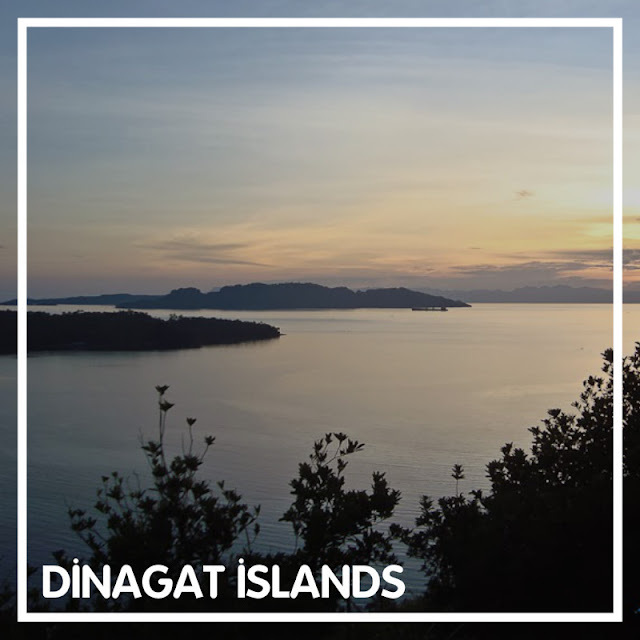 Composed of 123 islands and islets, Hundred Islands National Park in Alaminos City, is considered as one of the top tourist spots and attractions in Pangasinan. 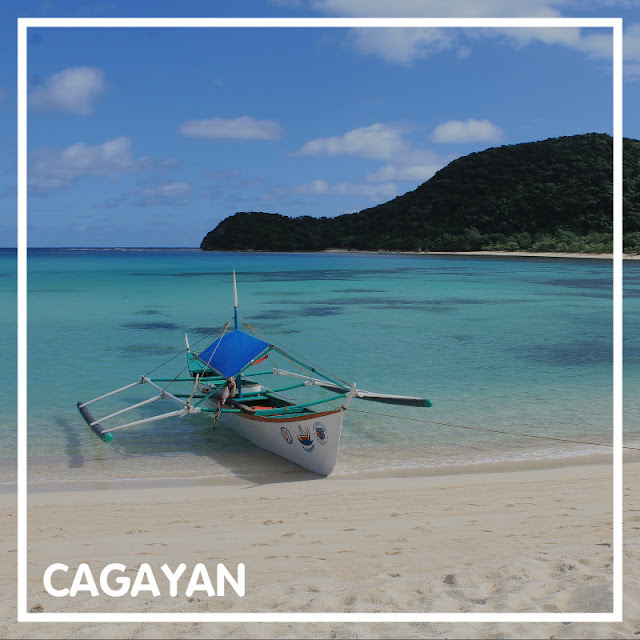 This group of islands scattered in Lingayen Gulf, is a must-see if you want to experience tropical paradise in Pangasinan - whether on a day tour, camping trip or overnight island escape. 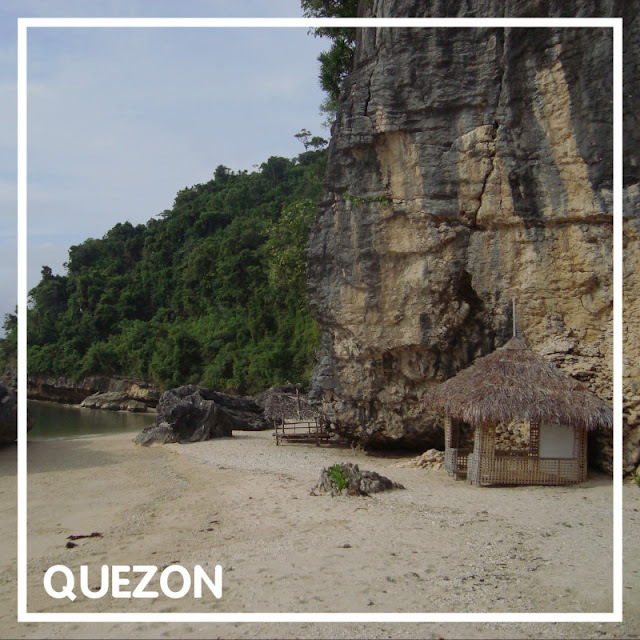 Borawan and Dampalitan beaches in the town of Padre Burgos are the two most-popular beaches in Quezon. Borawan beach's rock formations and shoreline are really awesome. It doesn't have the usual long stretch of white sand beach of Boracay, but it's full of huge rock boulders with a backdrop of high limestone walls like what Palawan has. These features make Borawan beach uniquely beautiful. Dampalitan Beach is also as lovely as Borawan. 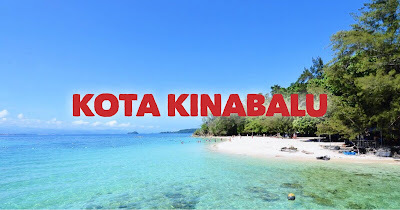 It's an undeveloped beach with a long stretch of shoreline as compared to Borawan Beach. Daraitan is a trekking destination nestled within the Sierra Madre mountain range in Tanay Rizal. Activities to enjoy in Daraitan includes camping, river trekking, rock climbing, swimming, spelunking, among many others. Daraitan is a fascinating place that offers many things: river, mountains, caves, rock formations, and a lot more. Talipasak Beach is so lovely and pristine! It has fine white sandy beach that is soft to the feet. 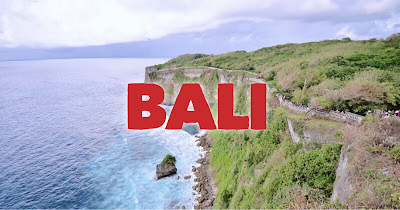 One of the most striking features of this beach are the towering stone walls teeming with lush greens on both sides of the beach that forms the lovely the beach. The water is clear and calm, ideal for swimming. 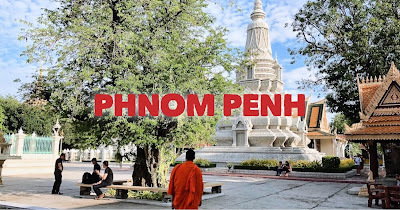 The park itself is situated in a large land of several hectares made of geological features such as caves, limestone boulders, and underground rivers. The one to look out for would have to be the cathedral-like caves and the Sohoton Natural Bridge. 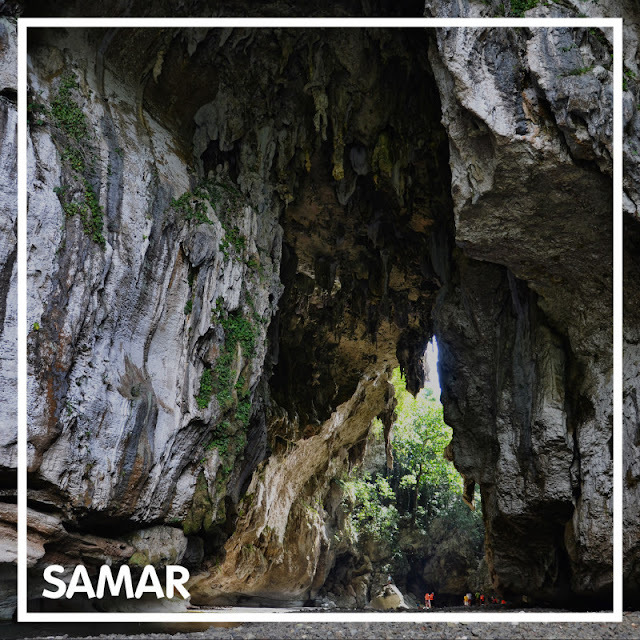 This awe-inspiring natural bridge connects two mountain ridges of spanning the Sohoton River. The upper portion of the bridge is forested while the underside is made of giant formations of stalactites. Known for its fine white sand and long stretch of shoreline, Gumasa Beach in Glan Sarangani is one of the best beaches in Southern Mindanao. Made of a cascading 3-level waterfalls, with fresh and clean water coming from natural springs. There are small pools where one can sit, relax and just let the rushing water massage your body. 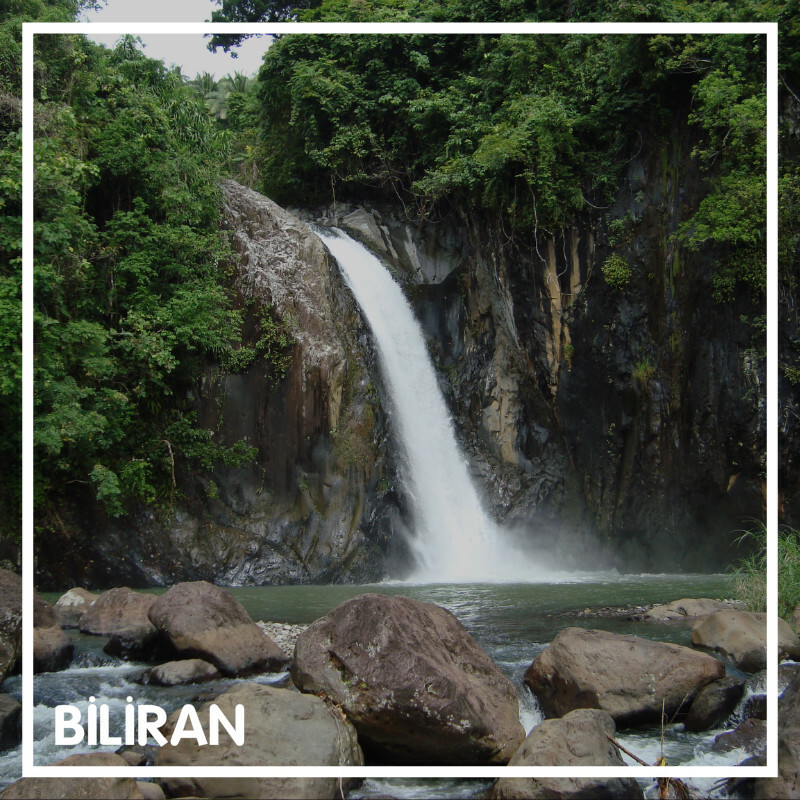 Bulusan Volcano Natural Park is a nationally protected rain forest surrounding Mt. Bulusan, the highest peak in Sorsogon. It features the active Bulusan volcano, the lake, and two other mountain formations known as as Sharp Peak and Hormahan, and Lake Aguingay. 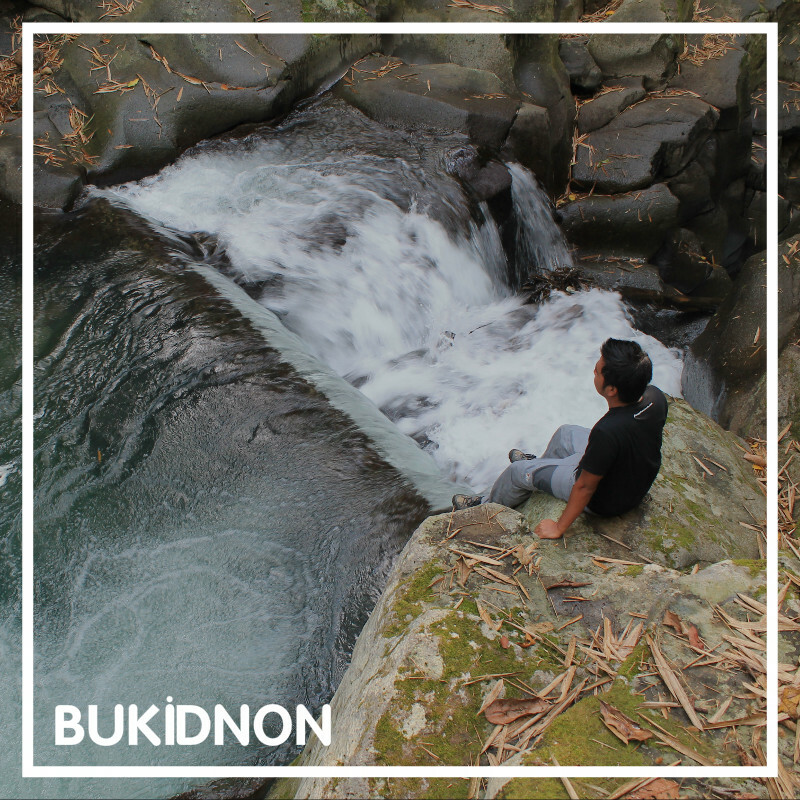 Bulusan lake can be found at the foot of the volcano surrounded by lush green forest. 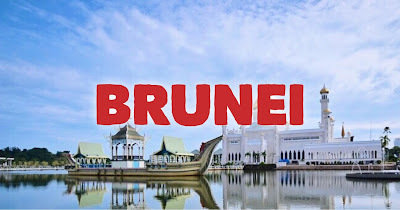 One of the most distinguishable spots on the province of Sultan Kudarat is their Moro-inspired provincial capitol building located in the capital town of Isulan. The whitewashed capitol building was built in a sprawling complex and features a big golden dome at the center with Moro architecture and a giant statue of Sultan Kudarat in its grounds. This is the best spot to take a stunning photo of the sunset in Jolo, Sulu. 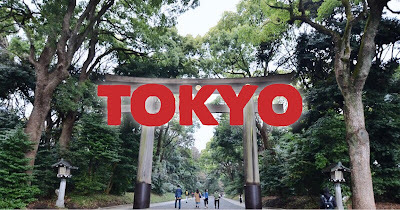 Go here during sunset. Agas-Agas Bridge in Brgy. Kahupian, Sogod, Southern Leyte is the tallest bridge in the Philippines. Who doesn't want to have an "instagram-worthy" photo of the Philippines' tallest bridge? Located at Barangay Borboanan in Bislig City, the waterfalls spans at 95 meters wide with a 55 meters plunge from its three cascading falls. 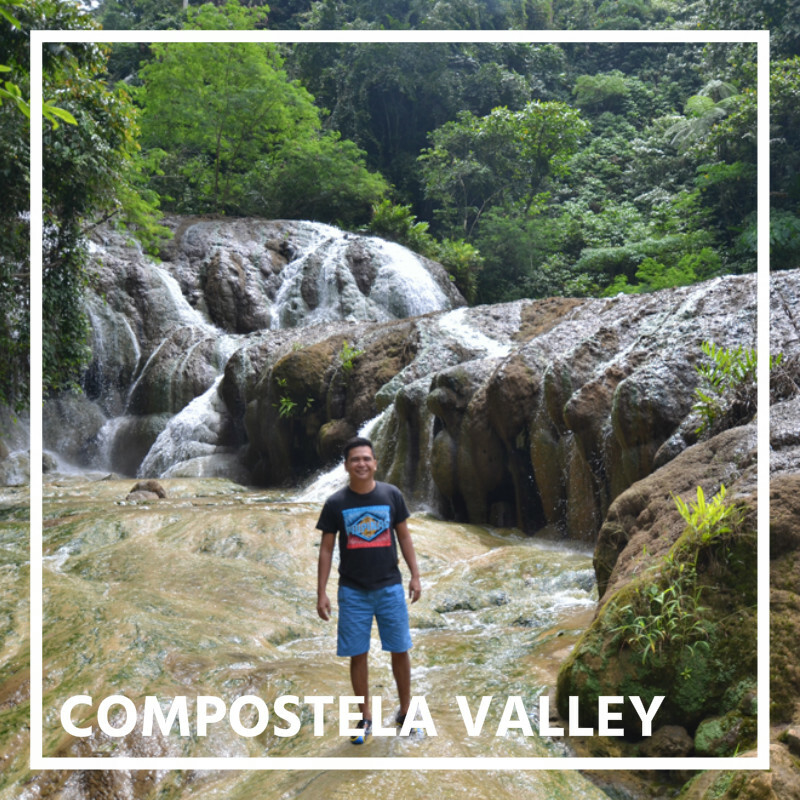 The water that drapes and cascades through the three waterfalls features a curtain of white froth that makes Tinuy-an Falls worth the long travel. 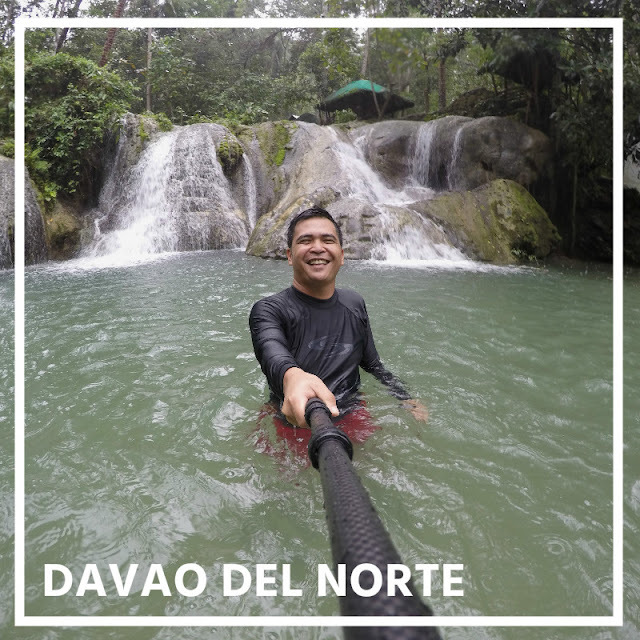 Definitely, one of the most "instagram-worthy" waterfalls in the Philippines! A "beautiful disaster..." Mt. 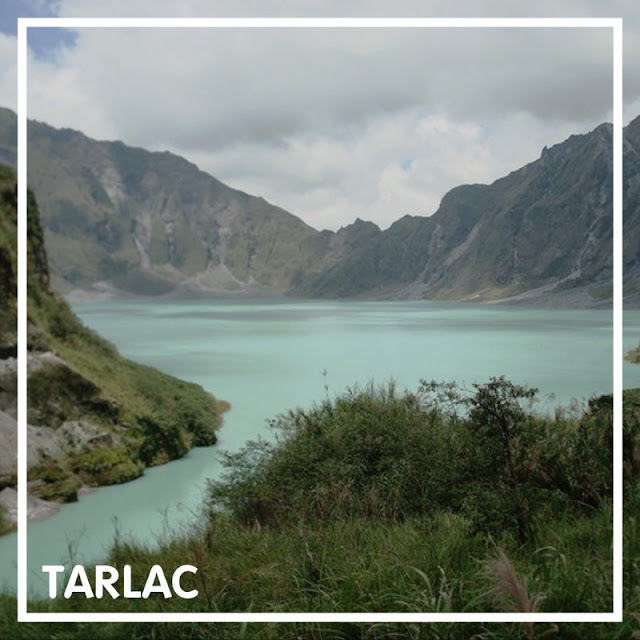 Pinatubo is one of the most lovely volcano crater lake in the Philippines. This is also one of the best hiking destinations north of Metro Manila. Considered as the highest mountain in Tawi-tawi, it is also a sacred ground for our Muslim brothers and sisters. One of the best coves in Zambales, dotted with agoho trees and ideal for camping and beach bumming. Relieve Jose Rizal's life by visiting the historical sites in Dapitan City where he lived in exile for several years. Get an overlooking view of the city by going to Pagadian City's rotunda. Here, you'll enjoy an elevated view high above the downtown area overlooking the blue waters of Yllana Bay. This is a good spot to take a rest to just enjoy the great view. When in Zamboanga Sibugay, go to the town of Kabasalan and meet Saudi Ahmad, "one of Mindanao's greatest living painter." Indeed, the Philippines has so much to offer. I urge everyone to take the challenge! Not just by visiting all the 81 provinces in our country but to also experience the goodness in every Filipino's hearts.